Hotel Sapphire Star welcomes with stylish interiors and modern amenities. 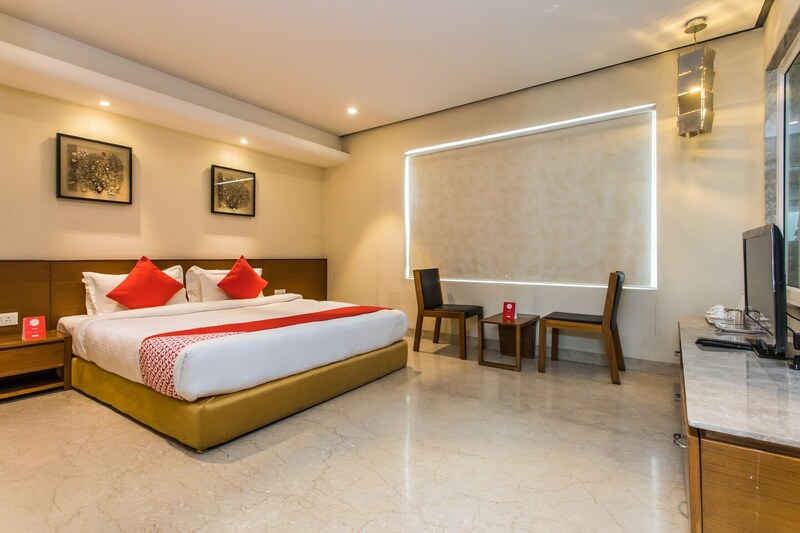 The beautiful rooms have plush interiors and are equipped with modern amenities for the comfort of the guests. The artistic paintings and glass finishing in the room add a glow to the overall decor. The windows let in the sunlight making the rooms fresh and bright. The in-house restaurant is a well-decorated space where guests can enjoy delicious delicacies. Power backup and CCTV cameras ensure security of the guests. Wheelchair accessibility ensures comfortable stay of all types of guests. Various other amenities offered here include free Wi-Fi, parking facility and hair dryer are also offered by the hotel for the convenience of guests.